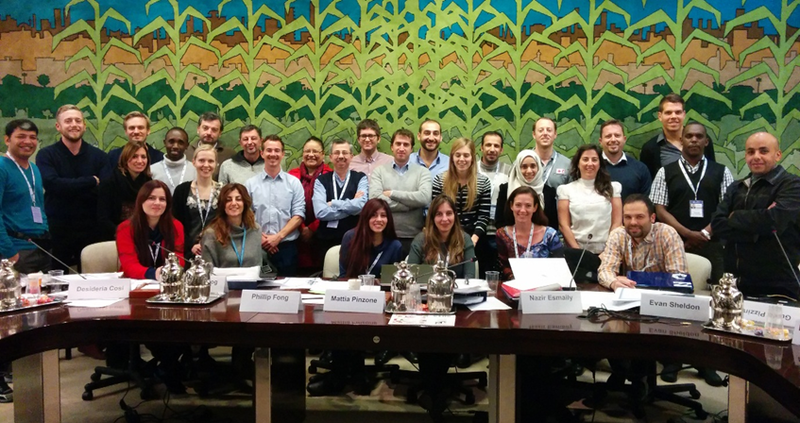 Last December I took part to the Food Security Cluster Information Management Tool Training, organized by the global Food Security Cluster (gFSC). This was the second training hosted by the gFSC and it built on recommendations and lessons learned from the pilot training which took place in Rome in July 2014. The training focused on teaching participants about core IM concepts, what the FSC IM Tool is and how it can facilitate the FSC IM process. Information Management is one of the core Food Security Cluster functions. Recognizing the need for the country-level Food Security Clusters to take a holistic approach to data collection and sharing, the gFSC has been developing a web-based IM tool for cluster systems and partners to use to collect, analyse and report on food security responses. While the IM tool will make data collection, processing and response analysis globally comparable, it is flexible enough to be able to be tailored to different country contexts. By producing standard reports and maps the IM tool can help in visualizing gaps and overlaps of partner responses, and ultimately help in avoiding duplication of humanitarian assistance, especially considering issues of food availability, access and utilization. Consistent information sharing by partners will facilitate project tracking and monitoring, and ultimately result in evidence based decision making for strategic intervention and improved implementation. Furthermore, use of the IM tool will enhance the dissemination of timely and accurate information for advocacy efforts by clusters. My interest was mainly in understanding what kind of data is collected during emergencies and how we can use that data in order to communicate effectively about acrisis. I see great potentialities in this data if well managed. Categories: events | Tags: communication, data management, FAO Emergency, gFSC, tools, training | Permalink. Yes, I have to admit: I’m addicted to my iPhone! Yes, it is true. 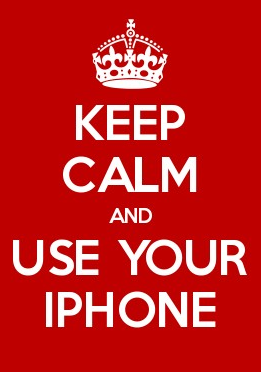 I depend on my iPhone. Or, I can say, I WAS depending on my iPhone as I don’t have it at the moment!! I can say this because I’ve been spending the last month without it: it has been a nightmare! Just to summarize: I got the daily habit to accomplish several tasks with it and now, that I’m not able to do them, I feel a bit lost. Reflecting on this situation helped me clarifying that: the way we live today is based on the continuous management of information and, in order to have our lives up and running, we need to keep this information organized. If this does not happen, than several of our “communication channels” with the rest of the world are interrupted and, as a consequence, you can experience one of the following sensation: feeling isolated and out of date, lacking the tools to conduct your usual activities, or missing your social life. What do you think? Did something similar happen to you? Is it good? Is it bad? None of the two? Categories: ideas, questions | Tags: data, iPhone, knowledge management | Permalink. 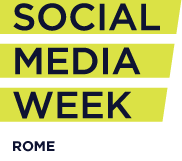 A couple of weeks ago I was invited to the Social Media Week in Rome to discuss about ICT4D. I tried to focus mostly on the importance of having communication embedded into development project rather than just after them. Thai is why ComDev is so important and should be taken into consideration by who design development projects. Have a look at the entire story of what happened during the meeting. Categories: events | Tags: comdev, events, ict4d, social media | Permalink. I just joined a webinar on GIS and GPS. I want to know much more about the relation between data and mapping. Geography is one of my passion and I’ve always been fascinated by the way data can assume different meaning when in relation with the Earth. Will give a feedback when the training is over! Categories: events, ideas, news | Tags: data, geography, GIS, GPS, learning, training, webinar | Permalink. In the last months we were able to create a pretty new template for the FAO in emergencies website to talk about the ongoing humanitarian crisis around the world. The layout is very modern and dynamic. To do so, we used some of the latest tweaks and effects to make communication about such complex events much easier! Now stories, documents, photos, videos and data are all accessible from one place, in a visual and quick way. In the example below you can see the page dedicated to the Crisis in South Sudan. CAR, Madagascar and Philippines have also theirs. Categories: news | Tags: communication, design, FAO Emergency | Permalink. After long, but good work, we released the NEW FAO in emergencies mobile App for iPhone and iPad. It is publicly available on iTunes and it is free. With the App is possible to access most of the content of the FAO in emergencies website, with a specific focus on the emergency projects that FAO is implementing. Categories: news, visions | Tags: applications, FAO, FAO Emergency, iPad, iPhone, knowledge sharing, mobile | Permalink. 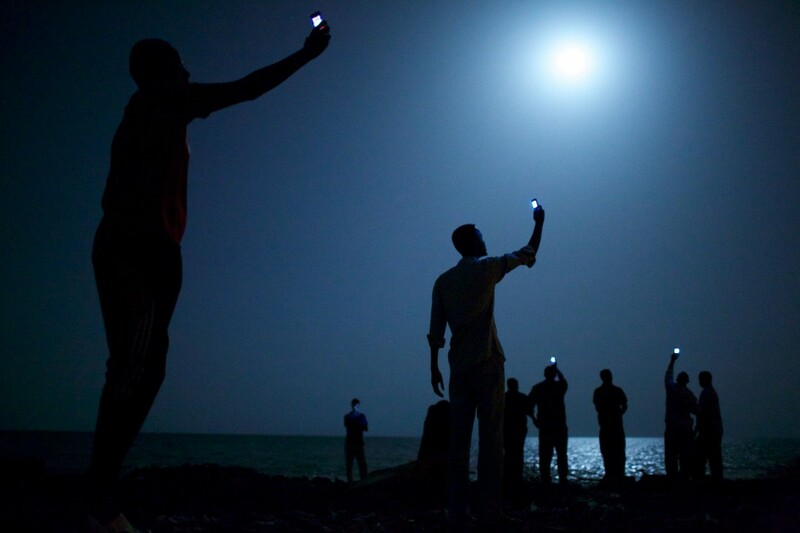 African migrants on the shore of Djibouti city at night raise their phones in an attempt to catch an inexpensive signal from neighboring Somalia—a tenuous link to relatives abroad: this picture won the World Press Photo 2014. Categories: news | Tags: images, John Stanmeyer, photocontest, photography, World Press Photo, WPP | Permalink.